Winter has started to settle in over the last week, with nighttime lows dropping into the 9-10 degree range. We are still looking at highs in the low 30’s for the time being, but it looks like we should start to get back into the low 40’s by next week. Crowds have just about disappeared, with a good percentage of folks looking to fill their freezer before hunting season ends on the 25th, and the fishing has actually been very good this November. We haven’t seen a ton of BWO’s over the last week, as midges have started to take over and will continue to do so until this coming spring. Most of the dry fly activity has been taking place from late morning and on through the early afternoon hours, and small grey or black adult midge imitations like Goober Midges, Harrop’s Adult Midge, and Hanging Midges have all been good choices to match the naturals on the water. Nymphs are still the name of the game though, and small zebra midges, baetis nymphs, san juan worms, pat’s rubber legs, and RS-2s have been some of our better patterns lately. After a very mediocre October, the streamer bite has finally started to pick up in the upper river. We are still getting mixed reports from guys fishing down by Ennis, but we have had some really good days in the upper stretches on larger articulated patterns. Silk Kitties, Dungeons, Peanut Envys, and Double Screamers have all been getting some attention lately and we are starting to see better fish coming to the fly. Despite the colder weather, we are still getting good fish early in the morning when the clouds hang in there but those cold, bright mornings have been a little slower. If the sun is shining, we’ve been doing better in the afternoon through the evening and keeping it on a fairly slow retrieve of roughly six inches per strip. We have also started to see a bunch of fresh spawning beds recently, so please watch your step (or watch where you drop your anchor) if you are out there during the month of November. If you do see fish spawning, let them do their thing and move on to the next spot. As for the actual redds, please remember that most of the eggs are usually 3-10 feet behind the spawning bed so be sure to walk in front of these areas instead of behind them. 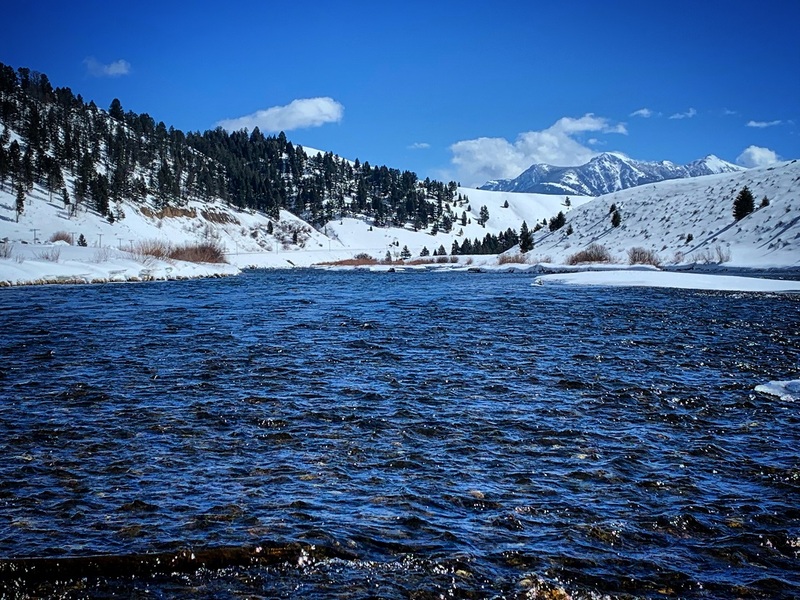 Be sure to keep checking back for another Madison River fishing report from the Slide Inn.